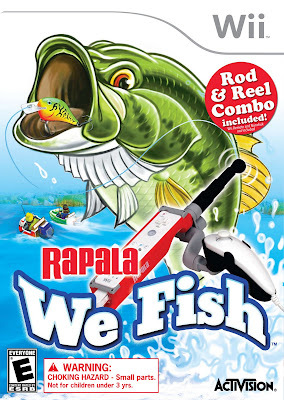 Activision has announced the first fishing game developed specifically for the Wii, Rapala: We Fish. 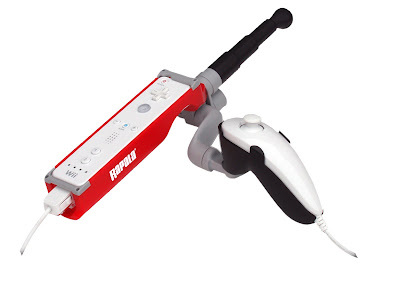 Since this is an Activision title for the Wii, you know there will be a game specific peripheral, which is a rod and reel to attach the remote and nunchuk that allows the player to set the hook, cast, and reel in. The title was also designed to be over the top and humorous so it does not have that Saturday afternoon lure infomercial feel. 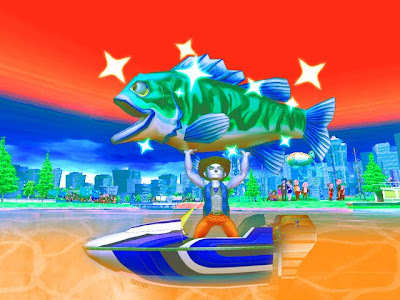 We Fish has game play modes that include co-op tournaments, 4 player split-screen, and multiplayer modes where each player is able to chose from the five characters Activision provides or their custom Mii. With eight locations, twenty four tournaments, and fifty species of fish, I am looking forward to doing even less from my couch. Thanks Activision! Rapala: We Fish is scheduled for release on September 29th.